Buy Huawei Mate 20 Pro online at Amazon. Huawei Mate 20 Pro, world most powerful smartphone in every aspect of technology has been launched in India at price of Rs.69990. In India it comes only in one storage option 6GB+128GB. Huawei Mate 20 pro offers best ever mobile photography experience as it is paired with Leica technology 40MP wide angle lens + 20MP ultra wide angle lens + 8MP telephoto lens. Other specs include 4200mah battery with 40Watt super charge, In-Display Fingerprint scanner & 3D Face ID, and more. First sale of Huawei mate 20 pro will be on 3rd December for Amazon prime members only. What is Huawei Mate 20 Pro Sale Date? What is Huawei Mate 20 Pro Launch Date in India? Huawei Mate 20 Pro Review! Huawei Mate 20 Pro - One Month Later Review! SERIOUSLY GOOD!!! Huawei is one brand that manufactures not only smartphones but also other telecommunication equipments and peripherals. The company’s hard work has surely paid off by ranking it the second Global Smartphone Brand in 2017-18. Huawei Mate 20 Pro offers an iconic four-point camera setup with triple Leica sensors. It features Huawei’s flagship 7nm processed HiSilicon Kirin 980 chipset, which is a first for any smartphone in the world. The octa core processor is coupled with Mali-G76 GPU for gaming. Other Huawei Mate 20 Pro specs include up to 8GB RAM, up to 256GB storage, and an in-screen fingerprint sensor. The Leica triple camera setup includes a 40MP (f/1.8) wide-angle lens, a 20MP (f/2.2) ultra wide sensor, and an 8MP (f/2.4) telephoto lens, along with AI Image Stabilization (AIS) feature and an LED flash. The front Huawei Mate 20 Pro camera is a 24MP (f/2.0) 3D Depth Sensing lens and 3D Face Unlock feature. The smartphone is powered by a massive 4,200 mAh battery to last at least a day on heavy usage on a single charge. The battery on the Huawei Mate 20 Pro supports 40W Huawei Super Charge that can charge the smartphone up to 70% in just 30 minutes, 15W Wireless Charge option, and also Wireless Reverse Charge to fuel up another smartphone with wireless charging support, using the Mate 20 Pro as a wireless charger. If you are looking for Huawei Mate 20 Pro Amazon offers and FAQs, then you have landed on the right page. Stop searching for Huawei Mate 20 Pro Flipkart offers as the smartphone is an Amazon exclusive and even if it had been for sale on Flipkart, then the Huawei Mate 20 Pro Flipkart price would have been the same. Amazon will be hosting a bunch of offers on the new flagship smartphone by Huawei. Complete Mobile Protection at affordable prices. Launch offers from Reliance Jio including cashback vouchers and additional data benefits. The #KingOfSmartphones #HuaweiMate20Pro has arrived in India and will soon be available for sale exclusively on Amazon at an unbelievable bundle offer with Sennheiser Headsets. Huawei Mate 20 Pro sale date is known to be 3rd December 2018 for Amazon Prime Members only when it will go on the first sale in India via Amazon.in, and the Huawei Mate 20 Pro next sale dates will be known after successful first sale. Huawei Mate 20 Pro is going to launch on November 27 in India. Huawei is chinese company which launched this first smartphones last month powered by the the 7nm Huawei Hisilicon Kirin 980 SoC. Huawei Mate 20 Pro Amazon price in India has been set at Rs 69,990 for the 6GB RAM and 128GB storage while the 8GB RAM and 256GB storage variant has not yet been listed on Amazon. You can also get the smartphone coupled with Sennheiser headphones at Rs 71,990. 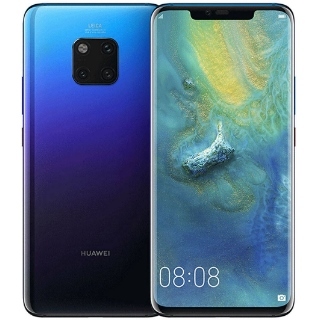 While the smartphone has been heavily priced, but you can make use of the offers and discounts on Huawei Mate 20 Pro sale. Debuted last month globally, Huawei Mate 20 Pro has finally made it to the Indian markets. Huawei Mate 20 Pro launch date in India is November 27th, 2018 and it will be available from December 3, which is also considered Huawei Mate 20 Pro release date, on Amazon India and Honor’s official website. How is the Mate 20 Pro Design? It has a stunning exquisite design with an iconic four-point camera setup. Does Mate 20 Pro case cover comes bundled in the box? Yes, there is a case cover that comes bundled with the smartphone. Does Mate 20 Pro have a Type-C charging port? Yes, there is a USB Type-C charging port on the Mate 20 Pro. Does Mate 20 Pro has face unlock? Yes, Mate 20 Pro features a 3D Face Unlock feature. Is the Mate 20 Pro Fingerprint sensor fast enough? Yes, the in-screen fingerprint sensor on the Mate 20 Pro is pretty fast. How is the Mate 20 Pro Display? Mate 20 Pro features a 6.39-inch 2K+ OLED display. Does Mate 20 Pro has a microSD card slot? Yes, Mate 20 Pro has a card slot which supports a Huawei Nano Memory (NM) card up to 256GB. Does Mate 20 Pro support Dual SIM Dual VoLTE? Yes, dual SIM VoLTE is supported on Mate 20 Pro. Does Mate 20 Pro support Dual Band Wi-Fi? Yes, Mate 20 Pro supports dual band Wi-Fi at 2.4GHz and 5GHz. How is the Mate 20 Pro Software? Will Mate 20 Pro get Android 9 Pie update? Mate 20 Pro runs Android Pie-based EMUI 9.0 skin. How is the Mate 20 Pro battery backup? Mate 20 Pro packs a 4,200 mAh battery that will last you almost a day on single charge. Does Mate 20 Pro support fast charging? Yes, it supports 40W Huawei Super Charge, 15W Wireless Quick Charge, and Wireless Reverse Charging. What is Mate 20 Pro Charger rating? The Mate 20 Pro box includes a 40W Huawei Super Charge (10V/4A) adapter.